Saul's is always excited to offer opportunities to bright promising technicians who have an intense passion for integrity of their skill & trade. Each of our rooms has a service bed, some rooms contain water access (including a shower). Your services could be integrated into our packages & specials as well. 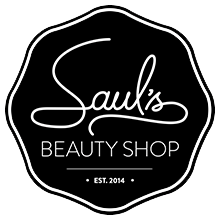 If you're interested in learning more or seeing if Saul's is a good fit for your services, please contact us at SaulsBeautyShop@gmail.com . We request you only contact by email , we like to keep our phones available for clients & customers (and usually Eliss is busy in a service anyways).